I meant to show you this before now! Once again time is getting away from me. 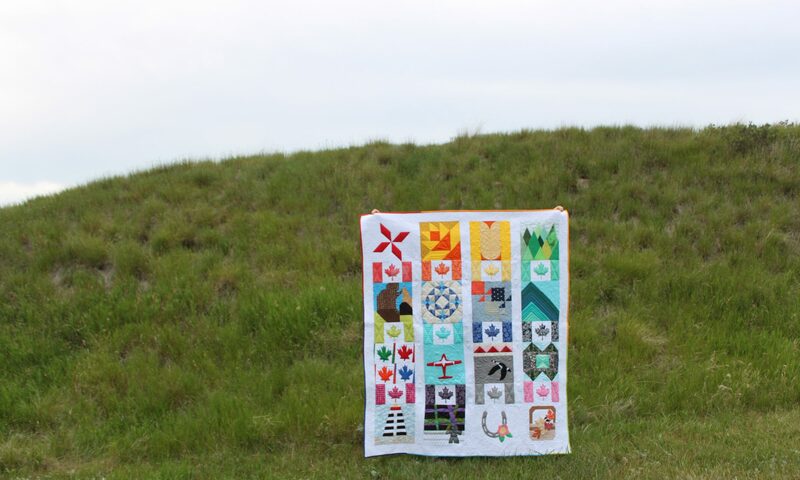 This is a mini quilt I made for the October birthday girl in the #CanuckBdayClub on Instagram. She goes by MelroseCakes online and she is a cake decorator by trade but she is also a quilter. I combined her two loves in this mini quilt. She and I are both big Tula Pink fans so this mini is made entirely with Tula Pink Fabrics. Let Them Eat Cake mini quilt made by Daydreams of Quilts for Melrose Cakes. The Cake portion of the mini is made with Tula Pink “Fox Field” fabrics using the “Let Them Eat Cake” block from the Fat Quarter Shop’s Snapshots Quilts along. You can find the block on their blog by clicking here. This is part of a quilt along fundraiser for St. Jude’s Children’s Hospital. It’s hard to see but I quilted “Let them eat cake” into the bottom border. My camera angle is a bit wonky here but the quilt is actually squared up. The birthday girl loved it so I am a happy quilter! 🙂 I must make another one of these sometime. Next PostNext Sew Mama Sew Giveaway Day!